With the Fantasy Football Playoffs just a few weeks away it’s time to start planning ahead to make sure that you put yourself in the best possible position to win. I am going to go over a couple things that you may not of thought to do that might just be the key to you winning your league. For me it’s all about weekly matchups and believe it or not, I take into account teams that play in areas where Winter weather could be a huge issue for your players. So here’s a guy with good matchups and one with bad matchups! 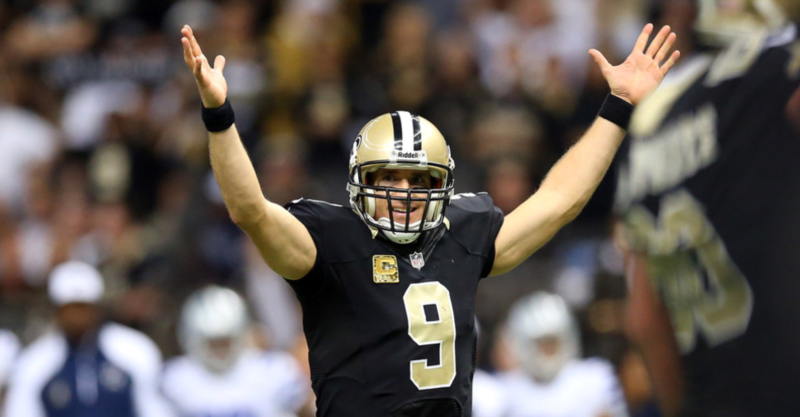 Drew Brees QB New Orleans Saints : Week 14, 15 and 16 are most leagues playoffs and the Saints have nice Matchups. Week 14: Carolina Panthers – These Panthers are playing more like Kittens these days vs Quarterbacks. Carolina is currently are giving up the 7th most Fantasy Points to QB’s and there showing no signs of getting better and this game is a home game for the Saints which makes it an even more attractive matchup. Week 15: Chicago Bears – The Bears are giving up the 3rd most fantasy points to QB’s this season and have been a huge disappointment this year. Week 16: Atlanta Falcons – Drew Brees has played very well vs ATL the last few years AVG about 322 Yards a game and a couple scores and this is another home game for NO which means there should be points a plenty! Now I know it’s going to be tough to trade for Brees so the key here is to trade another high profile QB that is putting up similar #’s that has less attractive playoff Matchups! Example would be Philip Rivers QB San Diego Chargers – Rivers is ranked above Brees at this point but his playoff Matchups include the New England Patriots, Denver Broncos and the San Francisco 49ers. 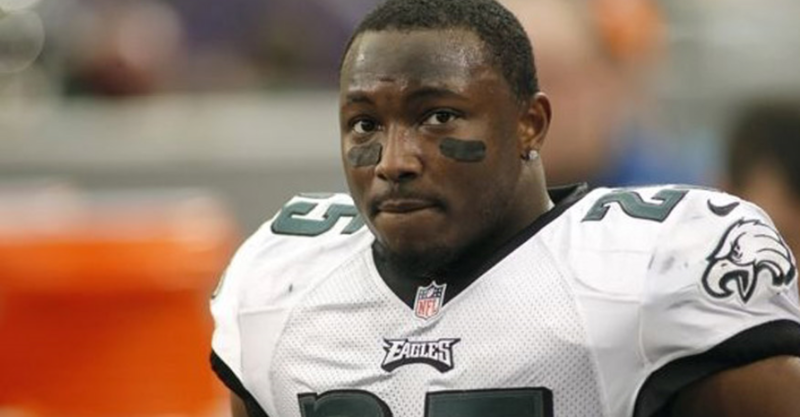 Lesean McCoy RB Philadelphia Eagles – Mccoy has had a rough season so far with only 1 TD and is currently 17th in Fantasy Points among RB’s which is far from his #1 Pre-season ranking. Week 14: Seattle Seahawks – Seattle Defense has been a little bit of a let down this year but they have help up against the run. They are giving up the 9th Fewest points to Running Backs and have only allowed one RB to eclipse the 100 yard mark so far. Week 15: Dallas Cowboys – The Cowboys have been a big surprise so far this season especially on the defense side of the ball. They are currently giving up the 12th fewest fantasy points to running back this season and have also only allowed one RB to get 100 + rushing yards in a game this season. Week 16: Washington Redskins – Washington is struggling this year but they are very stingy in regards to the run. Their defense is focused on stopping the run and it has shown in the numbers. They have allowed the 7th fewest fantasy points to RB’s this season and have only allowed the #1 and #2 Rushers in the League in Demarco Murray and Arian Foster to get over 100 yards rushing. So if you can trade McCoy in a deal that bags you a solid RB with good Matchup’s like Arian Foster who matches up against Jacksonville, Indianapolis and Baltimore I would. Just make sure you get Alfred Bue as well. 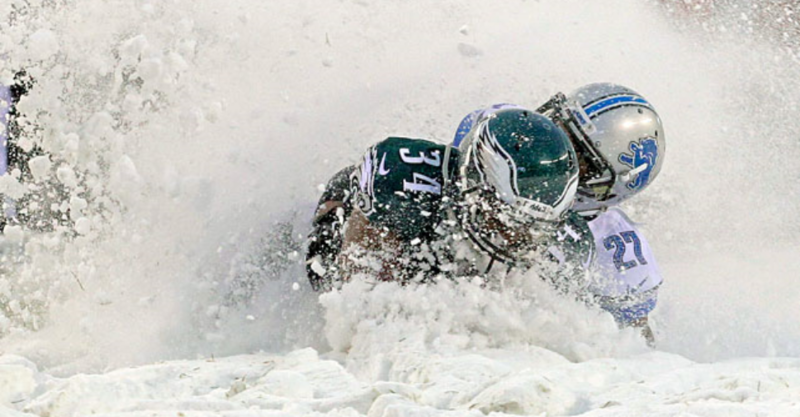 The fantasy playoffs take place in December and that can only mean that weather is going to be a factor in some games, it’s a guarantee. Obviously nobody can predict what the weather will be like and you may get lucky and dodge it all but I seem to run into it every year. So lately I have been trying to put myself in a position to avoid the weather if I can make a trade or a pickup that makes sense. For example last year I rode Tom Brady all the way to the Finals and 1 hour before kickoff I benched Tom vs Baltimore in crappy weather and picked up and started Andy Dalton off waivers vs Minnesota in better weather. The results were Tom Brady threw for 172 Yards and 1 TD and Andy Dalton threw for 363 Yards 4TD. That decision ended up being the determining factor in winning my matchup. It’s definitely a tough decision to bench that big name for somebody on your bench or on waivers but in some cases those who take the chance reap the benefits! So here are some teams with some potential weather issues come playoffs and keep in mind weather normally affects the QB’s and WR’s the most. Phildelphia Eagles: Week 14 home vs Seattle Seahawks, Week 15 home vs Dallas Cowboys and Week 16 @ Washington Redskins. So all three matchups are outdoors in Philadelphia and Washington so there is a good chance 1 of those games could pose some weather problems! Cincinnati Bengals: Week 14 home vs Pittsburgh Steelers, Week 15 @ Cleveland Browns and Week 16 home vs Denver Broncos. So again all three matchups outdoors, uh oh! Cleveland Browns: Week 14 home vs Indianapolis Colts, Week 15 home vs Cincinnati Bengals and Week 16 @ Carolina Panthers. Week 14 and 15 are the worrisome games for the Browns with back to back home games. And you can’t make it to week 16 without making it passed Week 14 and 15. Buffalo Bills: Week 14 @ Denver Broncos, Week 15 home vs Green Bay Packers and Week 16 @ Oakland Raiders. So again we have two tough outdoor games to survive to get to sunny Oakland. So there you have it, always play the matchups and take into consideration those who will be playing multiple games outdoors during the fantasy playoffs. So it’s time to make the tough decisions, make some trades and maybe hit the waiver wire for a surprise last minute pickup!